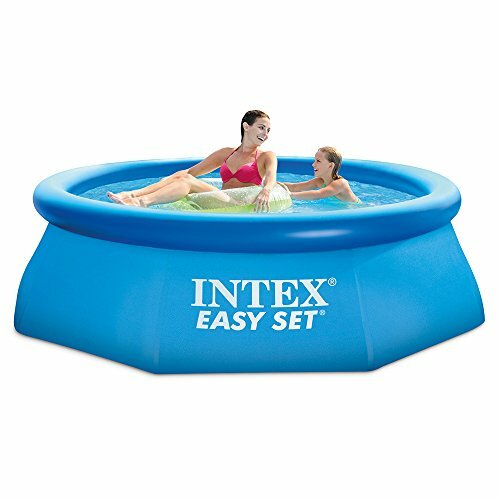 • Ready for water in 10 minutes, - simply spread out on level ground, inflate the top ring, fill the pool with water, and enjoy the fun! • Includes: SUPER-TOUGH laminated PVC sidewalls. 110 - 120 Volt Filter Pump with 330 gallon per hour flow rate. Set-up and maintenance DVD.